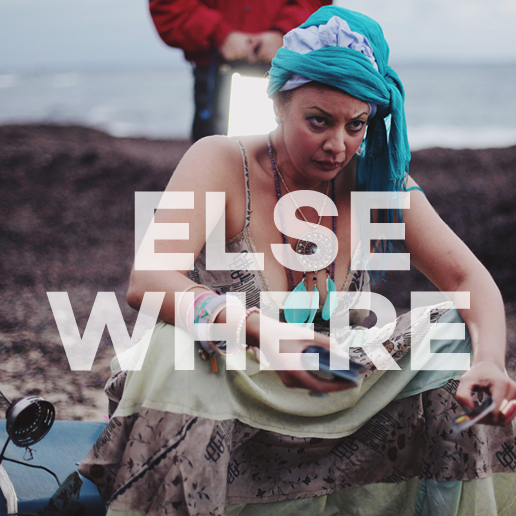 ELSEWHERE is a 5-minute short to be entered into local and international film festivals. Elsewhere is the story of Max, a carnival worker, and his doomed infatuation with Elsie, the Ringmaster’s wife. As Production Designer I designed the overall look of the film, including the set design, wardrobe and makeup looks. The film has a 1950s Australia setting. When designing the film I stuck to a strict colour palette, with soft, 50s-style pastels and the occasional pop of colour. Costuming was sourced locally and internationally, and included a mix of vintage and new pieces. I altered some of the newer pieces to look repaired, to fit in with the theme of a carnival troupe on the road. For the makeup, I worked with our makeup artist to devise a series of carnival-themed looks for the main characters, staying within the colour palettes. I designed the set with an eclectic mix of props, including several vintage suitcases for the characters, tarot cards and a crystal ball for the fortune teller, devised a campfire with my art department assistant, and sourced several small props to add to the feel of a carnie beach camp. I also borrowed a group of metal sculptures from local Melbourne artist Antjuan Hatfield, which added a touch of surrealism to the set.